Charismatic heavyweight Tyson Fury has claimed that Wladimir Klitschko will avoid fighting him should he overcome Dereck Chisora in their world title eliminator this weekend. The Manchester banger steps into the ring with Chisora this Saturday night at a sold out ExCel London and has claimed that heavyweight kingpin Klitschko will refuse to take him on next year. 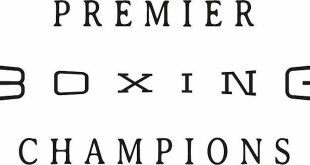 Fury, and the 30-year-old Chisora, have the chance of forcing themselves into a mandatory position to challenge for the Ukrainian star’s WBO world title should either prevail in their impending contest, live and exclusive on BoxNation. ”By beating Dereck I will ensure I'm mandatory for a world title shot next year,” said Fury. “I have been saying for a long time now that I don’t think Wladimir Klitschko will fight me – I think he will avoid me – but you never can tell what’s going through people’s minds. “I hope to God that he does take the challenge and that I become the new heavyweight champion of the world,” he said. The former British and Commonwealth heavyweight champion believes the people around Klitschko are cautious of putting their prized asset in with him. “I don’t usually think it’s the fighter, it’s the people who are around him and handling his business side of things [that don’t want the fight],” Fury said. “He’s the goose that lays the golden egg and they wouldn’t want to kill the goose that lays that golden egg. 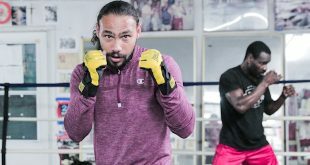 So if they want to kill it, put it in the ring with me, otherwise keep on fighting mediocre fighters because there is nothing mediocre about me,” he said. The 26-year-old Fury has endured a terrible 18 months which has seen him suffer inside and outside the ring. Now, though, he takes on Chisora for the second time after having beat him in 2011, but believes that the Londoner will prove a tougher test this time around. 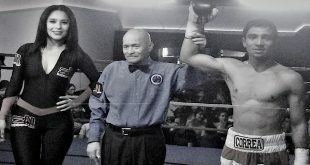 “Dereck deserves respect for getting in the ring. He’s had a lot of professional fights, with a lot of world class fighters, so it’s going to be a tough night. He’s been very active, he’s fit and he’ll be ready because it’s all on the line,” said Fury. “It’s a final eliminator for a mandatory shot at the world title - it’s not just a mandatory shot on the line but a lot of money. The winner excels onto big fights in the future and the loser has to regroup and go from there. ‘Del Boy’, as Chisora is known, is ready for the task at hand and says he is a much more mature and fitter fighter than in the past. “I’m in really great shape for this fight and ready to go on Saturday night,” said Chisora. “The talking is all done and now it is about stepping in there and taking care of business. I’m hungry for another shot at the world title and I’m not going to let anyone stand in my way. “I know what Tyson brings to the ring. I’ve learned from our last fight and I’m ready for him. This is going to be my easiest fight because I know how he boxes and I’m going to beat him at everything he does. He doesn’t know what he’s in for,” said a confident Chisora. 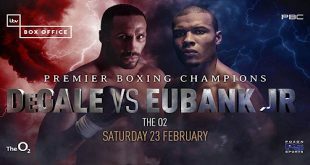 Also featuring on the bill is a mouth-watering chief support between Billy Joe Saunders and Chris Eubank Jr which sees the British, Commonwealth and European belts up for grabs in a potential thriller. Frankie Gavin takes on Bradley Skeete, with Liam Walsh facing Gary Sykes on a stacked card from top to bottom. Tyson Fury vs. Dereck Chisora is live and exclusive on BoxNation (Sky 437/490HD, Virgin 546 & TalkTalk 525) this Saturday night.